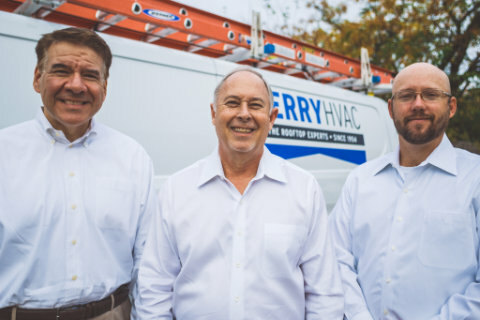 The Perry HVAC Guarantee - 100% Satisfaction. Every Time! Satisfaction every time! Mr. Perry started it in 1954 and we still run our business on the same promise today! Respect your schedule by showing up on time to appointments. Apply the years of our experience to analyzing your situation. Quickly communicate available options to address your needs. Help you get your problem solved on time and in budget! Our service engineers are not on commission. They are licensed, knowledgeable, and will work with you to find the right solution! Perry HVAC is brand neutral, meaning we’ll help you find the right piece of equipment for your job. Our HVAC guarantee also extends to our equipment - no lemons allowed! I manage the commercial roofing side of Scott Roofing and I only use Perry HVAC. I can always count on Perry HVAC to meet my schedule, budget and deal with weather delays. They are great partners to work with! We are honored to have the greatest clients in the Metroplex and appreciate their business and their enthusiastic referrals! We look forward to the opportunity to earn your business as well! Give us a call at 214-714-6365 and let us know what we can do for you.